It’s no secret we’re big fans of Secret Cinema here at GYGO so when it was revealed the team are currently working on a production based around the phenomenally successful James Bond film Casino Royale we couldn’t wait to find out more. Now we’ve been told that after the show’s incredible demand for tickets, Secret Cinema have extended the show run and capacity with additional tickets on sale now! 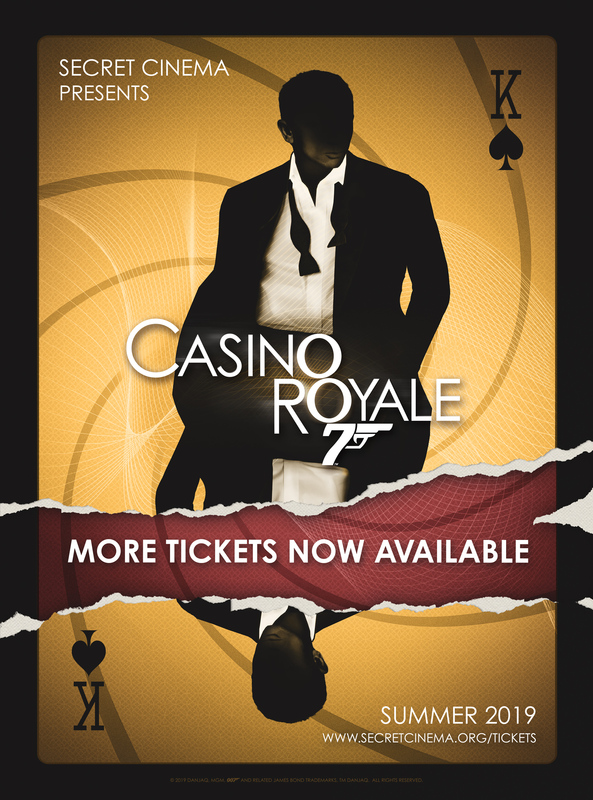 Secret Cinema has today announced that further tickets have been added for the previously sold out production: Secret Cinema Presents Casino Royale. The experience will now run from Wednesday 5th June to Sunday 22nd September. The additional tickets and show nights go on sale on Friday 25th January at 12pm (GMT).